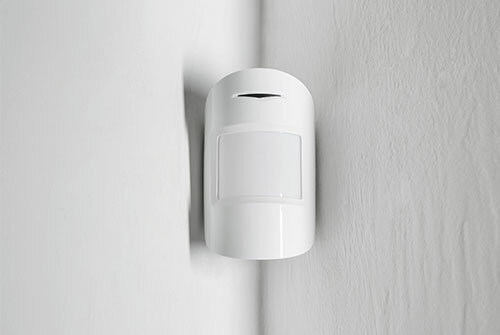 Security cameras will make you and your family feel very safe. 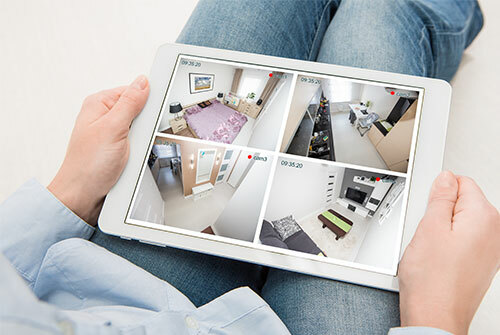 You can view every room in your home to see if there is anything unexpected going on while you are away. You could also use the camera to check in and see how your pet is doing! 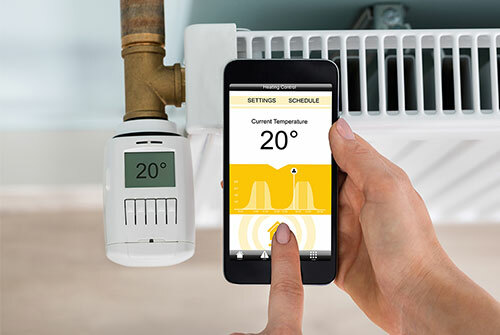 There are thermostats that allow you to control, schedule and monitor your homes’ temperatures, from your backyard or a friend’s house right from your Smartphone. They can learn your behaviors and automatically adjust settings for maximum comfort and efficiency. It can also remind you to change your filters, tell you how much energy you are using and even change functions to account for the differences between a heat pump or radiant heaters. Screw in the lights, download the app and control your lighting all right from your phone or tablet. You can turn the lights on or off, change the color, dim or brighten them. You can also program some lights to perform any combination of brightness and color. 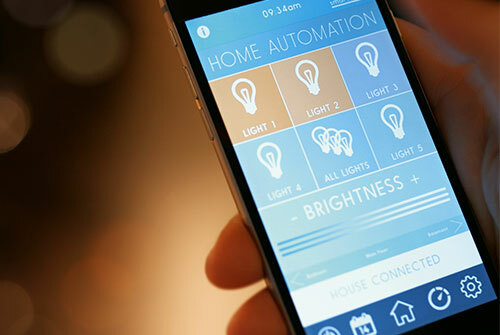 You can control as many as 50 lights on one bridge from your phone. You can also use motion sensored strip lighting that will light up your hallway at night just enough without blinding you. 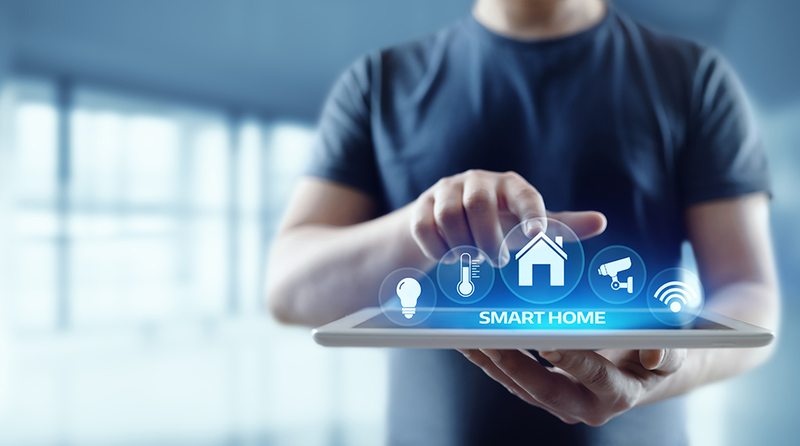 Motion sensors are very important in making your house a smart home. They will make you and your family feel safer when you are not home. If there is any suspicious movement going on in your home, you will be notified instantly on your Smartphone. Have a furry little friend but work long hours or have to rush to an appointment right after work? This is perfect for you. 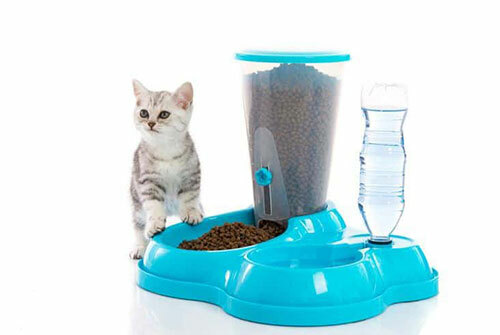 This device can be set up on a feeding schedule or you can chose when you feed them by pressing a button on your smartphone. In some devices, there is a built-in speaker allowing you to record a voice message that can be played at each meal time to call your pet. 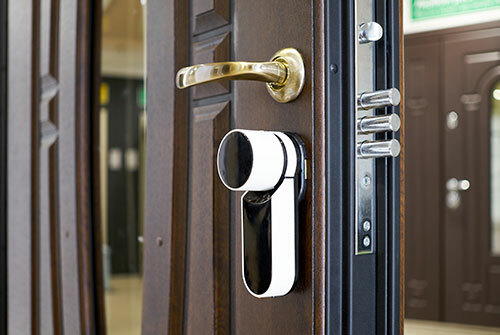 Smart locks can replace your front deadbolt, and they do much more than lock and unlock your door without a key. You can get alerts on your Smartphone of who’s entering and leaving your home. You can also email limited-access digital “keys” to visitors when you are not home. 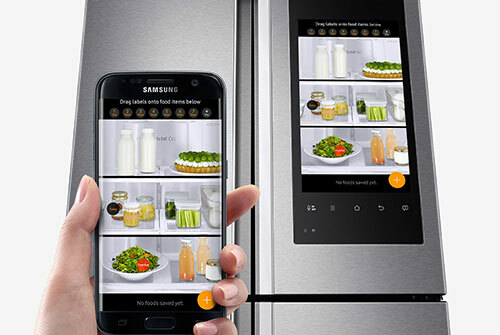 These fridges are one of the newer smart home appliances. They can create dinner recipes based on ingredients stored inside and for shopping lists for items that you may run out of soon. You can also talk to the fridge and ask it about other smart appliances in your home or simple questions. 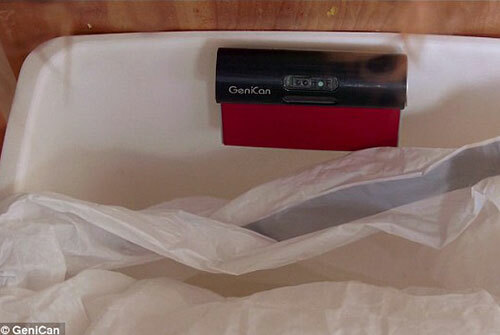 You can now purchase smart trash cans. They have a sensor that monitors everything you throw away, and you can set it up so that when you run out of that item it orders more of it for you. 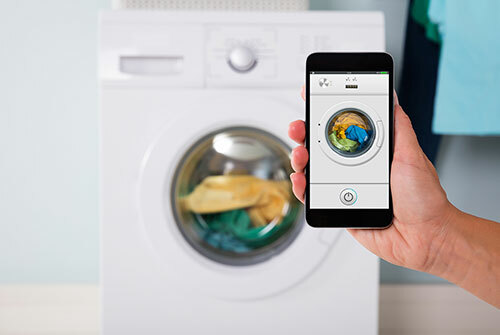 You can download an app and check when your laundry is done using your Smartphone. You are able to check the status of your laundry from anywhere. With some, you can set up text notifications to let you know when their cycle has ended. Smart coffee makers are great for anyone who is in a rush in the morning and just doesn’t have time to make coffee. 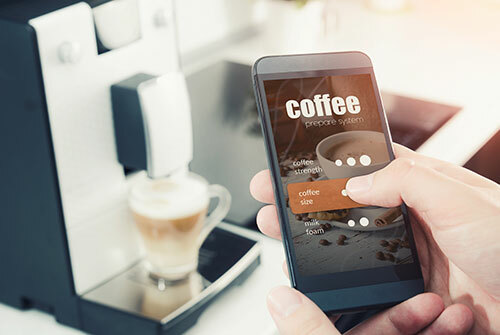 Smart coffee makers allow you to control the time when your coffee is brewed, and can be made in an instant or you can have it set on a timer so that it’s ready before you even get out of bed.